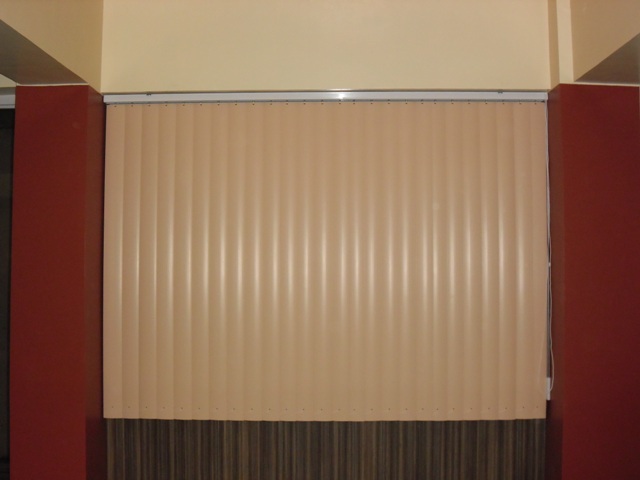 Vertical Blinds is classic when it comes to enhancing your windows in your home or office. Vertical blinds does not only serve as a home decor but also for blocking too much sunlight and maintains privacy to your home or office. For wide windows and patio doors for both residential homes and offices PVC vertical blinds is highly recommended. 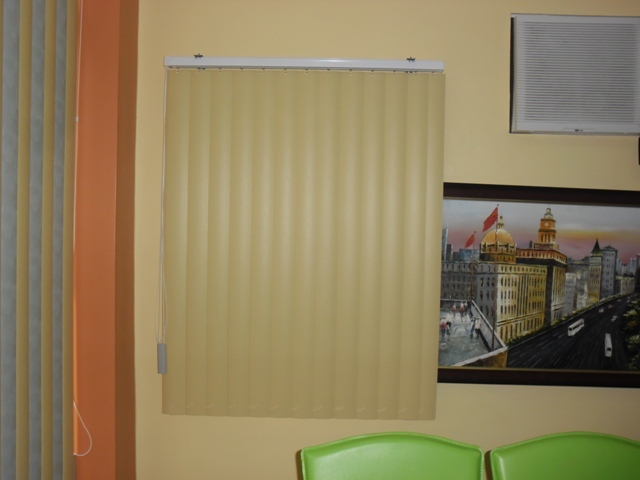 This type of blind is easy to install, and most importantly it is not that expensive compared to other types of window blinds. With proper care vertical blinds can last for a long time and the blades can easily be replaced if ever it breaks. Also, you don’t have to spend too much time cleaning it because dust simply falls in between and can easily be wiped using a damp cloth. One of our customer from JAD Group of Companies, Mandaluyong City opted for a Peach and Woody Corn color of PVC vertical blinds for their new office. 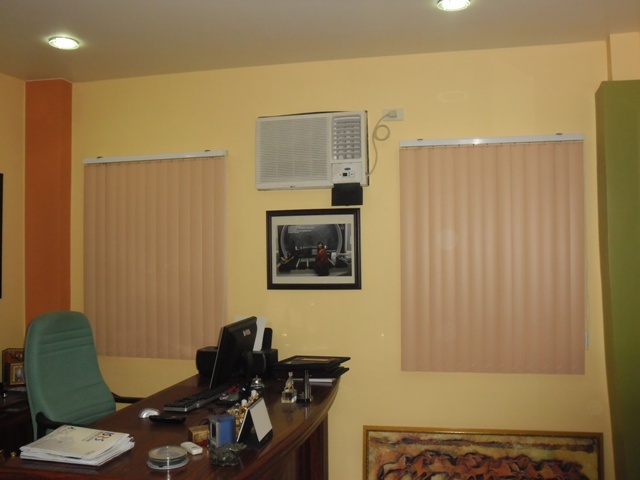 They decided to purchase PVC vertical because there’s a wider range of colors available in PVC vertical blinds and that they wanted to match the color of their office furniture. Visit DS Windows & Walls’ show room located at 4th floor of Waltermart Center, Makati City for actual samples of our window blinds. For more questions regarding our products, you can reach us at (02) 403-3262 or (02) 893-1373 or text us to 0916-311-3909 and email us at inquiry@dswindows.com for FREE Estimate and Quotation within Metro Manila.